The severe winter of 1962-63 caused a complete stop on the Section II worksite as well, but Christiani-Shand had more experience in road construction and the engineers reported to the Ministry that even with the delay they were still running on time. It was all the more remarkable when this contract involved doing so many new and difficult things. Some of them seem elementary now. Press releases describing the works talked excitedly about how the contractor has set up a single, central concrete mixing plant, enabling them to have a consistently high standard of concrete across the site. Previously, concrete was mixed in situ, because it had the tendency to set if it wasn't poured immediately, meaning that every batch was different. Here, the Ministry explained, Christiani-Shand were using "special trucks with facilities for keeping the concrete in continuous motion from the time of mixing to placing in the structure". We'd know those vehicles as entirely unremarkable concrete mixers. Vast amounts of material had to be removed from the line of the road, including 100,000 cubic metres of solid rock. Much of that was at Cefn Coed, in the northern suburbs of Merthyr Tydfil. Unlike the Clydach Gorge, this site was effectively in a town, so the contractors weren't free to set off explosive charges at will. They carried out only small, controlled blasts, covered with a protective mat of railway sleepers to minimise the noise and dust. The bridges on this section were to be particularly handsome. Two were vast concrete arches, each crossing a valley in a single step, and required complex installation works. This was the reason Christiani-Shand had won the contract in the first place. 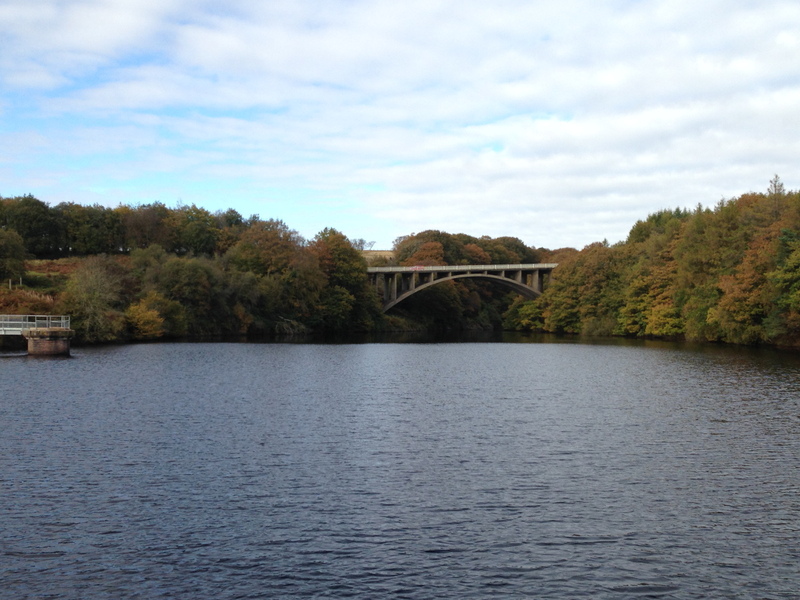 One bridge had to cross Nant Hir Reservoir, but the local authority who owned it insisted that there could not be bridge supports in the water at any point, including during construction — so the bridge had to be self-supporting even when incomplete. To do this, the contractor had to devise a completely new method of construction: the arch was formed step-by-step outward from its two abutments. Temporary towers, like on a suspension bridge, supported a mobile shutter for pouring concrete. As each section set into place, the shutter was moved along and the next section poured, with the emerging structure supporting its own weight. The method was so successful that a second arch bridge, over the Taf Fechan River, was built in the same way, even though it wasn't strictly necessary to do so. What's truly remarkable now is that both these elegant, impressive bridges are almost entirely hidden from view. 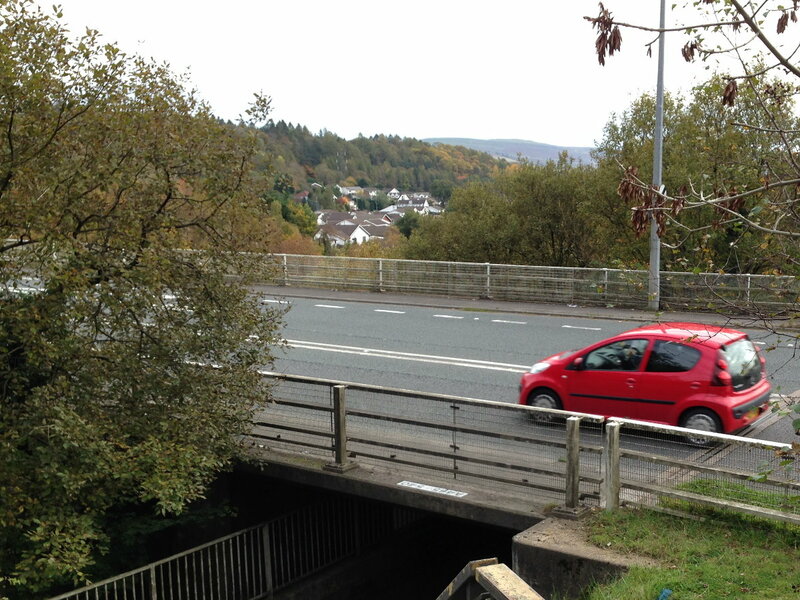 The Ministry's consulting engineers had originally designed the bridge over the Taf Fawr River at Cefn Coed as a five-span viaduct, making it a neat but fairly ordinary-looking structure with four sets of piers supporting it. Christiani-Shand had other ideas. They produced their own design for the bridge and submitted it to the Ministry, claiming that they would save £5,000 on the £150,000 cost of the structure. They were about to finish work on the M2 Medway Bridge in Kent, and were keen to develop the technique that had been employed there, so their plan was to bring the specialised equipment and skilled engineers from Medway as soon as it was finished, and start work at Taf Fawr. Their new bridge would be three spans — needing two fewer piers to support it — and would be self-supporting during construction, so there would be no temporary formwork. There was much discussion of this novel idea, and initially the Ministry resisted, saying the original design was structurally simpler and that they preferred its more conventional design for maintenance work. But eventually they agreed, and Christiani-Shand's specialist team was brought on site. 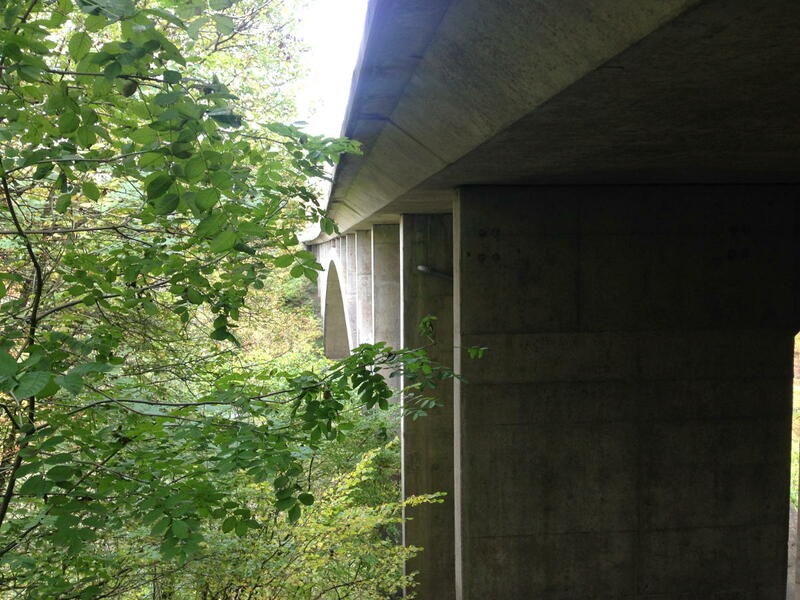 The result, if you can find a suitable vantage point, is perhaps the most striking bridge on the whole of the Heads of the Valleys Road: a three-span bridge with graceful arches and two delicate, impossibly thin supports rising from the valley floor. It bears a very close resemblance to the Medway Bridge itself. In February 1964, as work on the first two sections neared completion, work began on Section III, the remaining eight miles (13 km) of new road between Brynmawr and Dowlais Top. This final contract was also awarded to Christiani-Shand for £2,754,571, and again a three-year timescale would see the whole road completed by summer 1967. The new Heads of the Valleys Road was well on its way. Desperately-needed but never built, this was one of the only London urban motorway plans that were ever progressed to the construction stage.